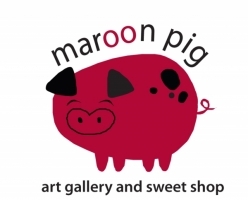 The Maroon Pig Art Gallery & Sweet Shop is a small batch bakery/sweet shop and art gallery. In this unique destination location and neighbourhood place, experience an exceptional collection of original art, coupled with exquisite hand-baked items including: artisan breads, candies, cupcakes, sticky buns, squares and more. Everything is made from scratch and we source local, fresh ingredients wherever possible. Open year round. Closed Sundays. We’ll meet all your needs. We offer a full variety of meat products: beef, pork, chicken (whole or cut up), bacon, hams, boneless skinless chicken breast, burgers, sausages, corn beef, etc. Debit Available. Orders for particular cuts of meat welcome. "Just ask Scott to custom cut your mouthwatering steaks to your liking." Steerman's is a proud producer of Certified Island Beef “Thank you from our family to yours.” Please call for details. Wood Islands Seafood Takeout is family owned and operated by a 5th generation fishing family. Located at the Fisherman's Wharf within sight of the Lighthouse museum and park. Right next to the ferry dock at Wood Islands. Sit at the picnic tables and enjoy fresh cooked lobster, mussels, soft-shelled clams (steamers), seafood chowder, crab cakes and scallop burgers. Order hot or cold crab and lobster rolls or sandwiches. Also enjoy oysters on the half shell. Come Sea Us!